Those of us who own residential or commercial property in Florida should know a little something about Florida Property Tax. But this isn’t the kind of knowledge that we just pick up along the way. Property owners should really make it a priority to learn what they can about their Florida Property Tax and the officials that are involved with that tax. Property tax is a tax that is billed to property owners and is based off the fair market value of the land and the structures that are owned. Florida Property Taxes are charged annually, and the revenue they generate is used by the counties, and in some cases cities, where the taxes were collected. This means that the owners of the properties in that area will benefit indirectly from the taxes that they pay on their property because the money is used in the same area where the property is. Do You Have to Pay Florida Property Tax If You Rent? No, you won’t be responsible for any kind or property tax on a property if you are only renting it. The owner of that property will be the one who receives the property tax bill. That being said, there are owners of homes or commercial buildings who will just include the cost of the property taxes into your rent payments. Are There Ways to Lower My Florida Property Tax? Sometimes property owners qualify for exemptions like the homestead exemption that will save them a bit of money on their property tax bill. The homestead exemption allows property owners to exempt a part of their property’s value from being taxed. It basically lowers the assessed value of your home or business property down by an allowable amount before the millage rate is applied to calculate the amount of tax you owe. To apply for the homestead exemption, you have to file an application with your county’s appraisers’ office by the cut-off date. You qualify for the exemption if you have a property that is owned by you that you live in as your primary residence. This exemption can save you hundreds, and in some cases, thousands of dollars, so it’s definitely worth the time it takes to apply for it. Once the homestead exemption has been approved for your property and has been added to your file, you will not have to re-apply in most counties. It will automatically be renewed for the next year, barring any change of information from you. It’s important to note here that only one homestead exemption will be granted per person. Also, a husband and wife living in the same home cannot both be granted a homestead exemption on the same property. There are some cases where a spouse can be approved for a homestead exemption on another property that is owned by the spouse independently, but that would require some special circumstances to be present in that family’s situation. You Receive Your Florida Property Tax Assessment Notice But Think the Appraiser Assessed the Value of Your Property to Be Too High – What Should You Do? This is a question that gets asked a lot. You do need to be very vigilant about checking out your assessment notice. You will see the estimated Florida Property Tax amount printed on this notice. Understand that this is not the bill for your property tax and that the actual amount of your property taxes may be higher or lower when you get the real bill. What you really need to be looking at on this notice is the assessed value that was assigned to your property by the appraiser. If that value seems too high to you, then you should do some research to look for the reason it came out to be higher than you were expecting it to be. If you can prove that the lower value you were expecting to see on the notice is what your property should really be valued at, then you may have the case for an appeal of your property’s assessed value. If you successfully appeal the number that was given as the value of your property by the appraiser, then the Florida Tax Assessors will have to lower that value, which will in turn decrease the amount of Florida Property Tax you have to pay. So this is something that gets misunderstood by property owners quite often. You cannot appeal your Florida Property Tax amount because you think it’s too high. What you do is appeal the assessed value of your property. Once the value of your property is lowered, that will bring down the amount of tax you are charged on that property because it is calculated by a percentage rate being applied. In Florida, an appeal goes through what’s known as the VAB, or Value Adjustment Board. It’s done in the form of a petition to the board. It doesn’t cost much, and you don’t need an attorney do this kind of appeal. Something that is very beneficial about the petition of the VAB is that the disputes are heard by appraisers, not by judges. Judges may not have a lot of knowledge about the valuation of properties so you’re better off with having the expertise of an experienced appraiser involved in your dispute. If you don’t go this route, you can file a circuit court action to have the value lowered. Using this method, there is a lot more to deal with. You do get more preparation time, you can call witnesses, there’s a judge present and you do get a good amount of time to present your case. This kind of appeal will cost you more money and is bound to cause you more stress. But it can be a successful way to get the value of your property amended. 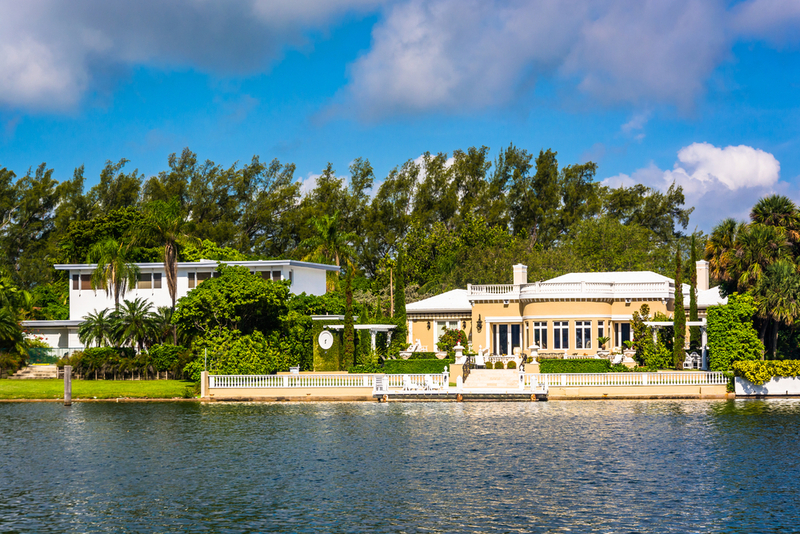 When it comes to Florida Property Tax, there is a lot to know. If something doesn’t seem quite right to you and you’d like an expert’s advice on what to do, contact Fair Assessments, LLC and schedule an appointment today. These are professionals that can give you the help you need, and get you headed in the direction you need to go.